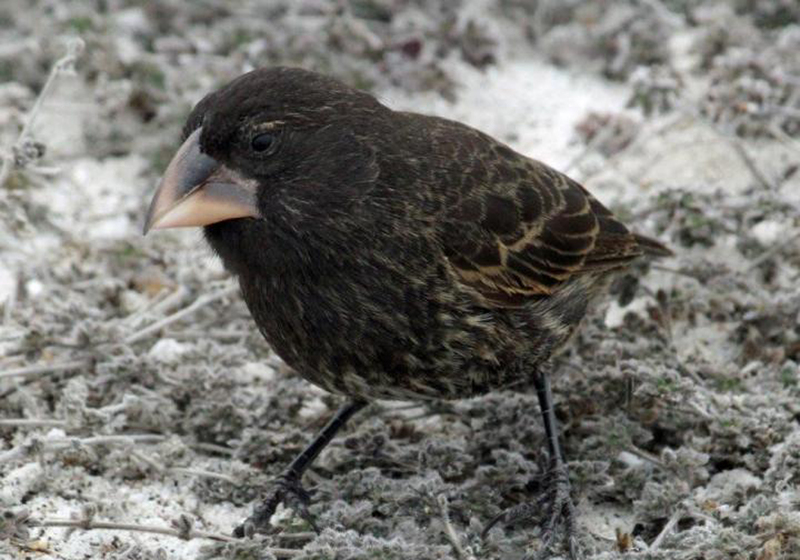 The Galapagos finches get their name from British biologist Charles Darwin, who on his visit to the islands discovered several finch species that varied from island to island, which helped him to develop his theory of natural selection. The discovery was made by evolutionary biologists Rosemary and Peter Grant, a husband-and-wife team from Princeton University. The Grants and their research team followed the Big Bird lineage for six generations spanning almost four decades. They took blood samples for genetic analysis and discovered the original male parent was from Espanola Island, about 62 miles (100km) to the south east in the archipelago. They believe after travelling a long distance, the lonely large cactus finch was unable to return home and instead chose a mate from the island. Biologists consider this type of reproductive isolation to be a key step in the development of a new species. 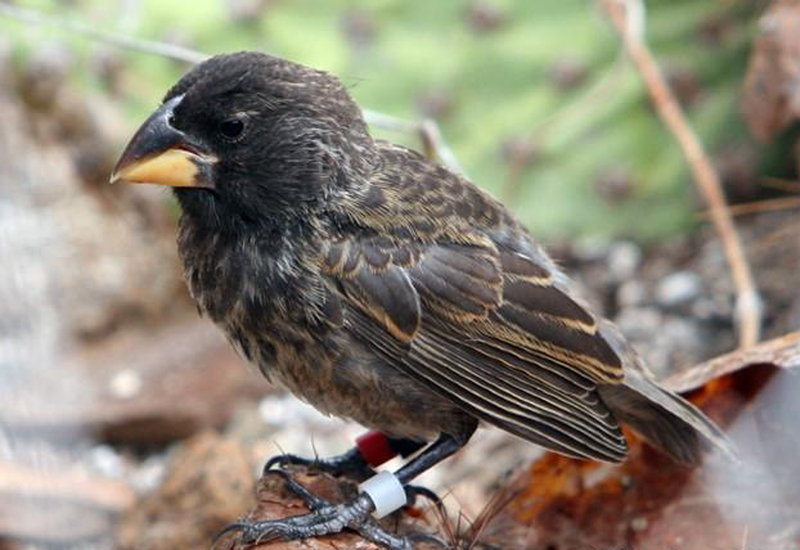 The team observed that the offspring ended up mating with members of their own lineage, as the Big Bird males were unable to attract resident females because they differed in their song as well as beak size and shape – some of the key traits that female finches look for in their mates. 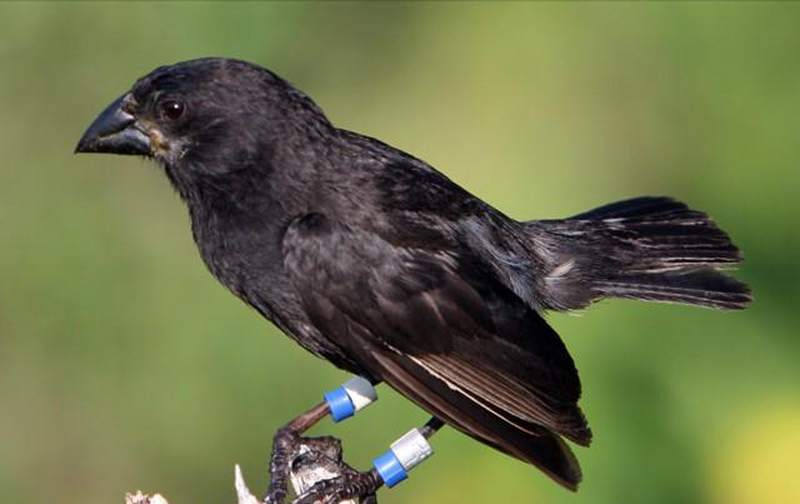 Leif Andersson, a professor at Uppsala University who collaborated with the Grants for the study, said what he found most striking was the fact that it only took two generations for new hybrid birds to behave as independent species. He said: “A naturalist who came to Daphne Major without knowing that this lineage arose very recently would have recognised this lineage as one of the four species on the island. “This clearly demonstrates the value of long-running field studies. “We have no indication about the long-term survival of the Big Bird lineage, but it has the potential to become a success, and it provides a beautiful example of one way in which speciation occurs.